Doreen Dean, Senior Property Manager at The Rosenblum Companies, has been elected to the Capital Region BOMA (Building Owners and Managers Association) board of directors. The Capital Region Building Owners and Managers Association was established to nurture the growth and health of the local commercial real estate industry through educational programs for the advancement of professionalism in the industry, networking opportunities, advocacy, communicating best practices, and more. Capital Region BOMA is an affiliate of The Building Owners and Managers Association International, a federation of associations throughout the United States and the world. Founded in 1907, BOMA International represents the owners and managers of all commercial property types including nearly 10 billion square feet of U.S. office space. TRC Senior Property Manager Doreen Dean. Doreen will bring extensive real estate management experience to the Capital Region BOMA board. As Senior Property Manager at The Rosenblum Companies, Doreen is responsible for technical, operational, and general property operations for our diverse portfolio of commercial and residential properties totally over one million square feet. Prior to joining the TRC team, Doreen spent over a decade as Property Operations Specialist for commercial tenants at the Watervliet Arsenal, a 143-acre United States Army facility. 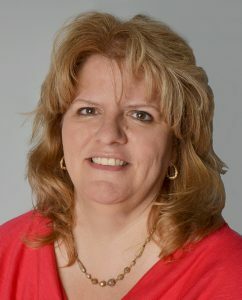 She is a life-long Capital Region resident and graduate of the Capital Region Chamber’s Leadership Tech Valley Class of 2013. Dean was appointed to the Board during Capital Region BOMA’s Annual Meeting on Wednesday, January 16 and will join eleven other board members representing various regional property owners, managers and service providers. Click here to learn more. Rosenblum’s first multifamily development in downtown Troy, The News Apartments, received the 2018 Renovated Building of the Year Award from Capital Region BOMA.